Tom Ford, better known for his work as a fashion designer, debuted in filmmaking four years ago with A Single Man – the cinematic adaptation of Christopher Isherwood‘s beloved novel. Working closely with cinematographer Eduard Grau, Ford embellished the film with an art house feel that many considere artificial and blank, while others see in it a touching work of art. 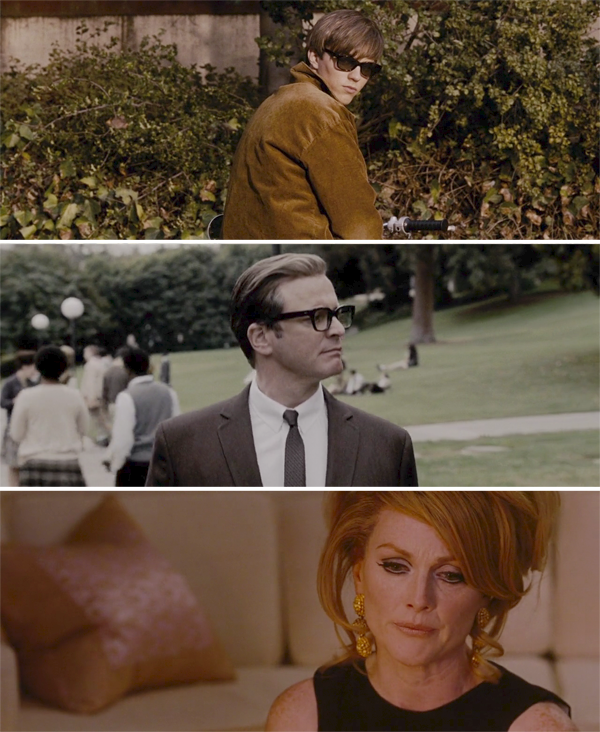 Whether you see A Single Man as a feature-length commercial or as one of 2009’s best films, Ford’s impeccable sense of style is always worth watching. Capturing the allure of the 1960s Los Angeles from color to costume design and set decoration, was the task at hand for Ford and Grau. Research included numerous covers of Life Magazine, the work of noted fashion photographer Bob Richardson, and the cinematography of numerous other films like American Beauty, The Graduate, and Chinatown. The film revolves around George, an English professor still deeply mourning the loss of his partner, Jim. As his will to live grows weaker, he begins to plan his own suicide, while capturing every detail of his last days alive. The overall sadness and apathy that taints his every living moment is only intensified in contrast by rare and sudden bursts of emotion — or rather, desire. Visually, the mood changes are marked by a not so subtle transition from the desaturated look that dominates most of the film, to extremely vivid and warm colours that may or may not put a faint smile on George’s lethargic face. This is also typically captured with evocative close-ups, which Grau explains: Tom also wanted lots of close-ups, not just of faces, but extremely tight shots of eyes, really red lips, as well as mirrors and reflections. We liked the idea of the images exploring this guy who is looking into himself and then out at the world, trying to discover what he wants both within and without. What a mirror reflects is not what it is, but how you see it. Production designer Dan Bishop (currently working on Mad Men), worked together with Ian Phillips (art director) and Amy Wells (set decorator) to execute a distinct vision of what the set design should be. George’s notable house was designed by American architect John Lautner, in 1949. A modern design with an impressive use of wood and an outstanding structure that blends with the surrounding hills of Glendale. The protagonist keeps it perfectly organised, in contrast with his female friend, Charley, whose extravagant ways found a home in an equally extravagant and luxurious house. Costume design was created by the acclaimed stylist Arianne Phillips (W.E., Walk the Line, and longtime designer for Madonna), with the collaboration of Tom Ford himself in the making of George’s clothes, manufactured at the Tom Ford International factory in Italy. The wardrobe speaks for itself, reflecting the characters that wear them with majestic accuracy. Besides the main attraction that is George’s suit, it also worth noting Charley’s black and white color block cocktail dress. 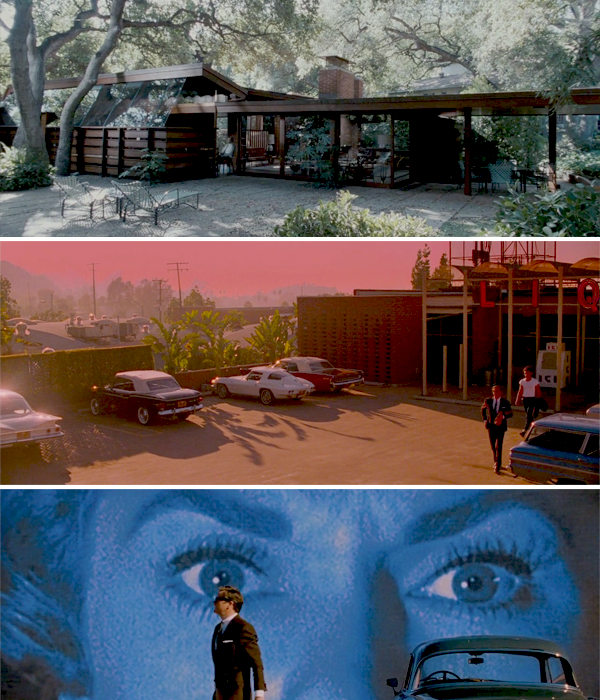 A Single Man was nominated for Best Art Direction (Critics Choice Awards), Best Costume Design (BAFTA Awards), and won Movie of The Year (AFI Awards), with the following tribute: A Single Man marks the singular and stylish debut of writer-director Tom Ford, whose astoundingly assured transition from fashion to film – from the human body to the human spirit – is a perfect fit for Christopher Isherwood’s story of love and loss. 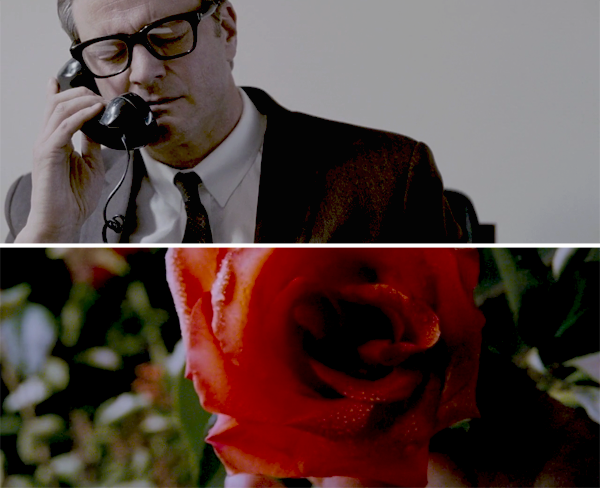 As a heartbroken college professor and his lovelorn compatriot, Colin Firth and Julianne Moore offer achingly honest performances that inhabit a perfectly realized 1962 Los Angeles. 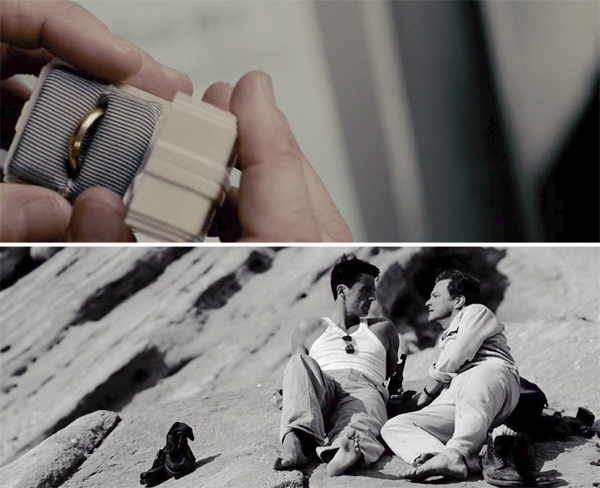 A Single Man is a meditation on grief, a sensuous lament, a memento mori that reminds us to love well, to cherish the human encounters that color our lives and to be aware, in the end, that everything is as it should be.